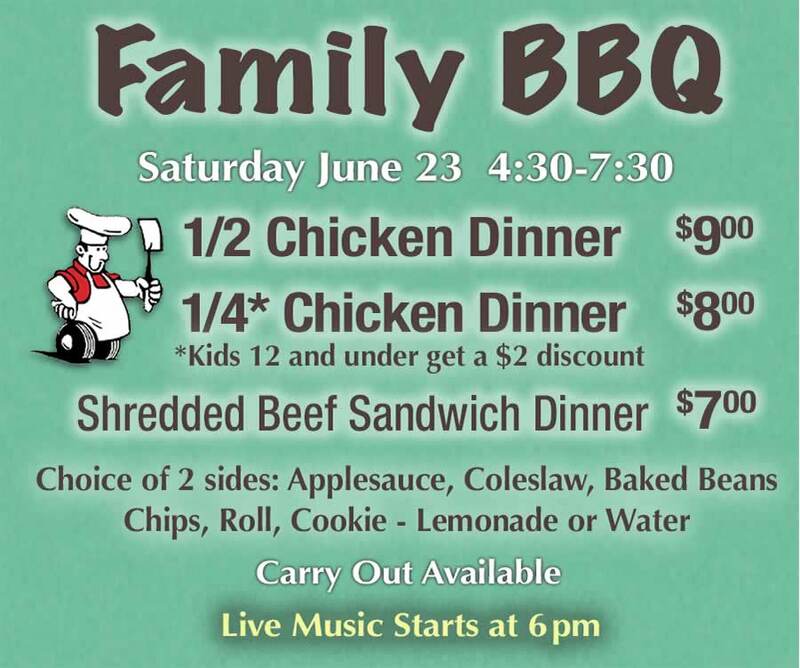 Saturday Family BBQ June 23 from 4:30 pm to 7:30 pm serving in the Park Pavilion. Carry-Out available from 4:30 to 7:30 Saturday. Cash Only, No Credit Card service at the Park. Brookview Farm Meats is preparing BBQ Chicken for this Festival dinner Saturday evening. Shredded beef sandwich dinners, from Pettisville Meats, will also be available. We'll have dining areas under the tents, next to the Park Pavilion. Thanks to our Family BBQ sponsor Foundation Steel LLC for generously supporting the Pettisville Park.